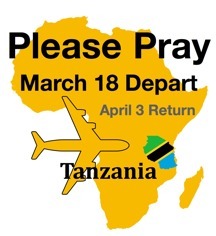 I am amazed at how much the Lord packed into my trip to Tanzania. My heart is abundantly grateful for His abounding grace and so thankful for your kind gifts and prayers that made it all possible. As I sat on the 15 hours-long flight back from Africa, I felt like Peter when he pulled in the breaking nets of fish. 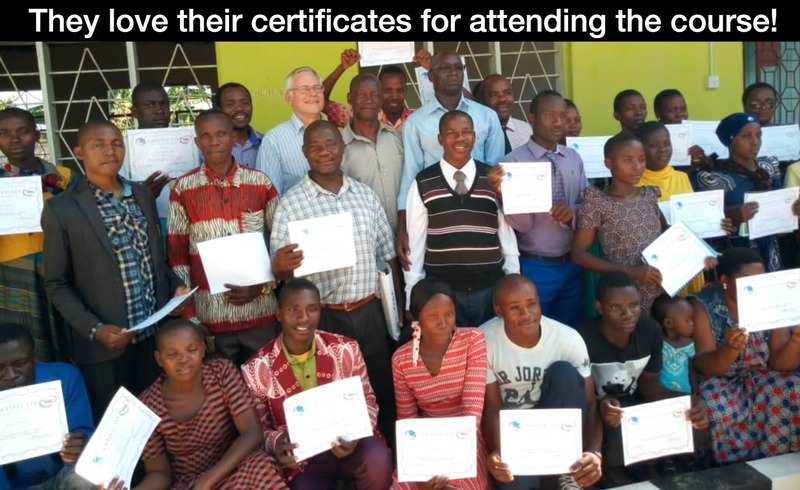 Hopefully, thirty messages—after editing, processing, and loading—will be added to the BFF libraries which are offered free to the global community: 20 in Swahili and 10 in Chinese. 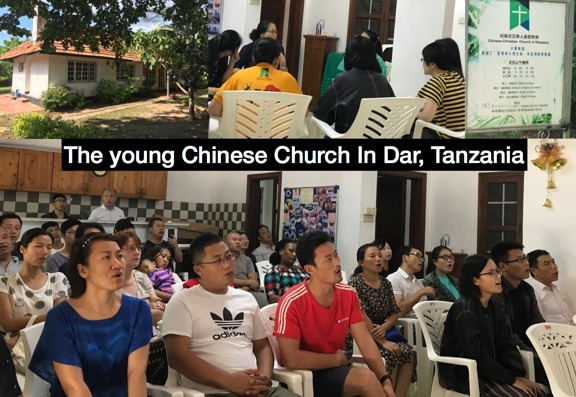 These messages were carefully designed to strengthen Christian life and service and supplemented by a 50-page Swahili workbook. Before going on, let me mention the two big shocks (other than when I state I have eight children all from the same wife). The first happened when I closed the door after speaking with a maid at the hotel. I suddenly realized that I had just fully explained my situation in Chinese to a Swahili-speaking person! I quickly opened the door and explained my situation again in slow English. The second shock took place during a Q&A time when a pastor asked how to improve the visitors’ image of the church. Their offering offended visitors, thinking they were invited to get money. I remember jaws dropping when I told them how our church doesn’t pass an offering plate in order to avoid this misunderstanding since we have many student visitors. (Members can place their donations in boxes at the back.) They were incredulous that it worked (and to God’s praise we have the good “problem” of figuring how to use surplus). Another big surprise! 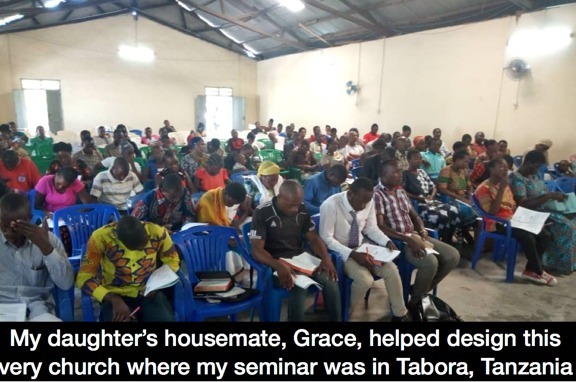 I discovered that 5-6 years ago on a volunteer mission, my daughter’s present housemate, Grace, helped design the very good-sized church building (below) where we held the second seminar in Tabora. What a small world! Yes, this was a very demanding trip, and yet everything has gone so smoothly. Praise God! My health has been good except for a minor tummy issue at the end. The worst complaint was midnight mosquito attacks, but then, I finally succumbed to using the provided mosquito net. But comparatively, I slept very well and this helped strengthen me. I decided not to speak the last Saturday night due to my weakened voice and gave extra time for the married couples to spend time together working through those things they were learning. Marriage counseling, 8 hours of demanding attention, took place the last night and day before leaving. The sessions were very timely because I could easily refer to what they just heard. Praise the Lord each couple further committed themselves to the Lord and each other. Overall, my heart is full of praise for how the LORD, from the beginning to the end, arranged for this trip. Full finances came in right before departure, but many other things were provided day to day from our gracious Lord. There is no greater reward than seeing a brother or sister come up, and though not being fluent in English, manage to express their extreme thankfulness and extend an invitation to return. BFF seminars provide systematic and targeted answers for very difficult questions in the lives of Christians and their leaders. As a bonus, we can offer our resources to them without cost. Many use them in their own churches and ministries. Thank the Lord for watching over this whole trip. Originally, I was going to Kenya, but the Lord timely brought changes about and redirected me. His grace and His glory. Praise God for new resources for the different languages. My trip home was uneventful and safe except for my return to NYC where I convinced their machines that I carried explosives. Even still, I am very appreciative for the opportunity our generation’s ability to travel. Always thankful for how we can work on the shoulders of others. David Livingstone chased out one Moslem slave trader (back in the late 1800s) and worked at spreading the Gospel. Always so thankful to be back home! Praise the Lord all is well at home. Two of my sons will be graduating on the same day in May at the same college (different programs)! My Chinese seemed to improve as I went along. Some leaders told me that they plan to teach these things to their congregations. Pray for the Chinese married couples to follow up on their commitments and to implement simple helpful habits to bring blessing to their families. Up to now, I work alone editing, producing, and posting the many videos. They take up a lot of time upon. Each is an investment for those who watch and use. Need perseverance. Please pray for Deus, my Swahili coordinator: 1) Burden of running the only Tanzanian Christian radio station in Tabora, 2) leaky house roof, and 3) desire to start training Christian leaders (partly using our teaching resources). Visit our Square account: mkt.com/bucknell where you can use your credit card to order or make a donation. 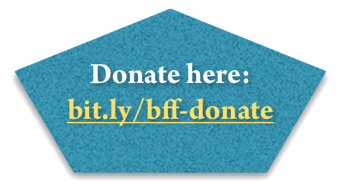 BFF is an official 501(c)(3) nonprofit religious organization and able to offer tax deductible receipts for contributions in the United States. All orders go to BFF.